First German edition (Deutsche Erstveröffentlichung stated on the title page), apparent first printing. Day of publication deduced from the 4-weekly publication schedule and notes in Perry Rhodan #s 431 & 434 and Atlan #4. The last page is unnumbered. 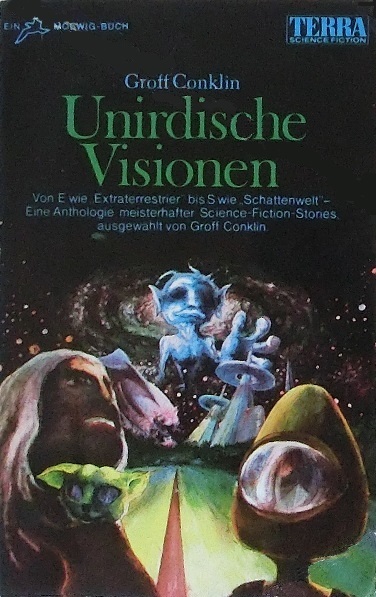 The cover artist is credited on the copyright page ("Titelzeichnung: Klostermann"). Other prices: ÖS 16.50 (Austria), sfr. 2.90 (Switzerland), lit 450 (Italy), frs 35 (Luxemburg & Belgium), FF 3.85 (France), hfl 2.80 (Netherlands).